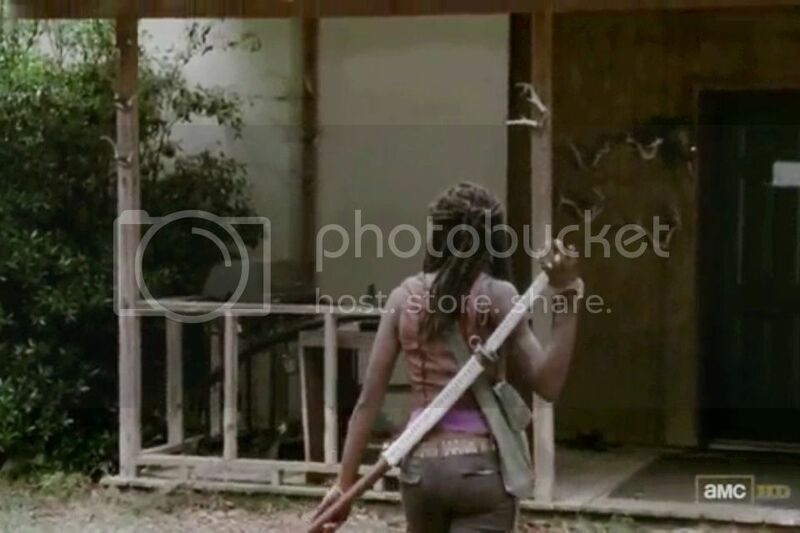 Was watching the new series of the walking dead and spotted this sword, it looks like the Ito wraps the top portion of the saya, looks pretty snazzy too. Geordie Ross wrote: it looks like the Ito wraps the top portion of the saya, looks pretty snazzy too. That's because it's mounted as tachi with saya-maki which was fairly common back in the days when Mick was a lad. Sorry Mick, I didn't know that Ross was older than you. Boyfriend was watching this the other day and pointed it out to me what exactly is that sword because it looks massive and too big for her is that what iaido swords look like or is it a custom job anyone know? I wouldn't mind having one like that, there is an official one but it looks like crap imo. It would look gorgeous if the whole thing was white. I have to agree with LW, the official 'limited edition' is over priced for what it's made from, especially with a false edge, nearly £200 for a wall hanger! To my limited knowledge, most prop swords are made from Aluminum, keeps the weight down for the actors, make them look competent & good. Koto have a couple of good looking white kat's, both under a Ton & no doubt better than the 'official' one, you could probably make the Saya sheath with real leather & some Tsuka Ito if you wished to. £200 thats even worse I was looking at yanky sites and doing a rough conversion from $180. Moon pointed out that its a like a tachi with saya maki. The next best thing to the 'official' is probably the folded white tachi.